The start of the sub-prime housing crash that obliterated banks and financial markets across the world is pin-pointed to August 9 2007. On this day, banking giant BNP Paribas Investment Partners announced it had suspended the valuation for three of its funds exposed to the US sub-prime housing market because of “the complete evaporation of liquidity in certain market segments of the US securitisation market". The subsequent collapse in US house prices triggered the worst economic recession since the Great Depression, with banks and entire countries needing bail-outs. Worryingly, the US economy and housing market has many similarities today to 10 years ago. As in 2007, the unemployment rate is at around four per cent and the American central bank is raising interest rates. Could the 2007 financial crisis happen again? After years of growth, house prices are at record highs. At the same time, stock markets have hit their highest ever values, while the values of corporate bonds, or debts, have also increased sharply. However, US house prices are not out of line with households income, which suggests a house crash is less likely, according to experts. John Higgins from Capital Economics said: "Although the Case-Shiller national home price index is a bit higher now than it was at its pre-crisis peak, ratios of home prices to disposable income are broadly in line with their averages since 1975. "By comparison they climbed far above these averages in the mid-2000s. "Mortgage rates are lower and mortgage debt is smaller as a share of disposable income. "Banks have tightened their lending criteria and adjustable rate mortgages are less common." The economic effects arising from the September 11 attacks were initial shock causing global stock markets to drop sharply. The attacks themselves resulted in approximately $40 billion in insurance losses, making it one of the largest insured events ever. 2015–16 Stock Market Selloff: Began in the US on August 18, 2015, when the Dow Jones Industrial Average fell 33 points and gathered downward momentum over several days, which became a steep selloff on August 21, 2015, falling 531 points (3.12%) on that. 2015–16 Chinese stock market crash: The Chinese stock market turbulence began with the popping of the stock market bubble in June 2015 and ended in February 2016. 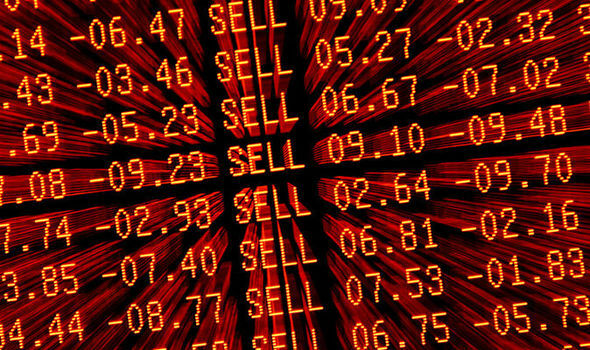 A third of the value of A-shares on the Shanghai Stock Exchange was lost within one month. The August 2011 Stock Markets Fall was a sharp drop in stock prices in August 2011 in stock exchanges across the US, Middle East, Europe and Asia. However, it is feared debt bubbles in other areas could burst to trigger a crash. In Britain the amount of debt taken on by households is growing at a much faster pace than earnings. The Bank of England appears to be growing increasingly worries and recently introduced new rules for lenders and borrowers to help curb risks. And former Chancellor Alistair Darling today warned consumer debt was a growing concern. China's is also a big worry, its economy growth helped pull the world out of the financial crisis. Stock markets have reached record highs in 2017. But growth has been fuelled by debt, which is now at 256 per cent as a share of its economy. It is feared a slowdown could sink financial markets and the global economy. At the same time, debt on the balance sheets of central banks in developed countries has built up and it's unclear how many institutions will be able to unwind their positions. Mihir Kapadia, chief executive of Sun Global Investments, said: “Today marks the 10 years since the beginning of global financial crash, which largely reshaped the global economy – spiralling from exhaustive bailouts of banks and countries, especially in Europe. "We are again in a period of uncertainty further driven by rising consumer ,corporate and government debt, and regional and political differences."